Speaking to IGN, TellTale writer Gary Whitta said the developer doesn’t want fans to suffer in the interim. “I can tell you what you already know, which is season two is coming. There’s not much to say because it really is very early. It’s a way off,” he said. The Walking Dead’s first season sold strongly and nabbed a number of awards. The second season is not expected for quite some time, and TellTale has turned some of its attention to an adaptation of the comic Fables. After Bioshock Infinite, this is my most awaited game. The first season was my game of the year for 2012 and I can't wait for more of it. Plenty of loose threads to be explored and new characters to be introduced. Kirkman says he was familiar with Telltale from the studio's Strong Bad adventure games, and he was confident they would be able to bring his world to life in games. Moderator Greg Miller cut to a quick video montage of players reacting live to seeing a certain character dying at the hands of another, featuring plenty of surprised screams and expletives. Kirkman says he doesn't take the deaths of his characters lightly, saying he goes through a process similar to what readers go through when they read it. He says it's upsetting, and he loves getting reactions from readers and viewers. He joked that he hears lots of people say that they'll stop watching the TV show or reading his comics after seeing some of the things his characters go through. But they don't. Another montage featured the ending, along with watery-eyed reactions from people who were playing the game. Telltale president Kevin Bruner says there was much debate whether an "I love you" option should be included, and the team decided against it because it competed with other options. Telltale CEO Dan Connors wouldn't say what was going on with season 2, aside from the fact that work is going nicely on episode 1. We did get a tease that Kenny's fate could be revealed, however, and that Clem will be a part of it. Later, Bruner added that season 2 will be loading all of the information from player saves from season 1 and 400 Days, and that they wouldn't be doing that if those decisions didn't matter – an interesting detail considering 400 Days' seemingly isolated storyline. An audience member asked about the timer on decisions. Connors said it started with Jurassic Park, and that the team knew that it would work well in The Walking Dead. Another person jokingly asked how they could convince Capcom to fire their entire staff and turn the Resident Evil franchise over to Telltale. Bruner's response? "We storm the gates." When asked about cameos from the comics appearing in season 2, like Glenn's short appearance in episode 1, Connors says he's working with Kirkman to see what makes sense. 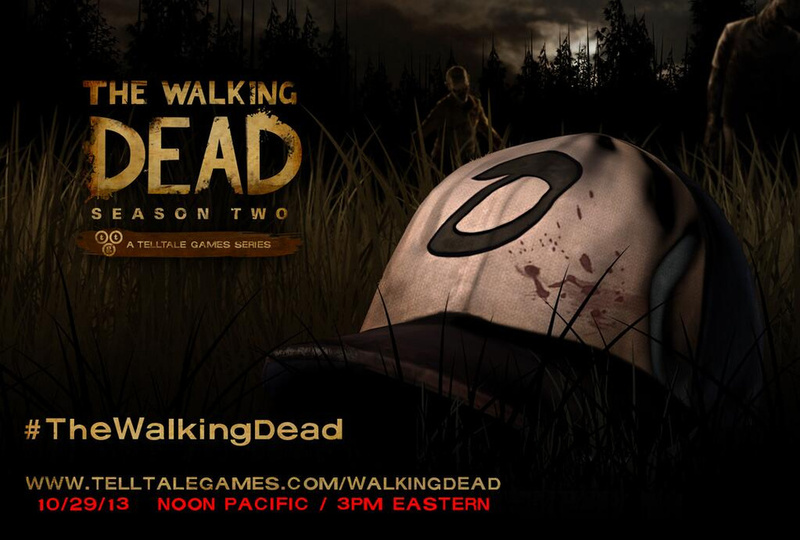 Looking forward to it but I hope Sean Vanaman and Jake Rodkin leaving Telltale doesn't affect it too much. Very bold move, really not sure how it'll work out. Makes me a feel a little apprehensive if I'm honest, more excited for the second episode of The Wolf Among Us If I'm honest. Coming to all current gen platforms (in a few weeks), aside from Android and 3DS. It could do well. Being a kid, they'll be situations you simply won't have control or power over compared to Lee last time. It could also lead to you (the player) being like a parent trying to guide her out of tough situations when you don't know if your helping or hindering her. I'm not sure I can go through the emotional trauma again. Really interested to see how this turns out, I hope they can hit the same stride as they did before. Nice move I think. Hope I won't need to saw her arm off though. I'm sure many people will proclaim the first to be better. Always happens regardless of the product. Hopefully this and The Wolf Among Us will alternate nicely to make waiting between each of the episodes bearable. Cannot wait for this. Excited to see how it ties in with 400 Days. I managed to get everyone to join the group so I'm looking forward to seeing how that plays out. There isn't any way to import your decisions across systems, is there? I played the first one on the PS3 but would have to play the next one on the Vita. Anyone else so precious that they're avoiding all reviews for this in order to avoid anything resembling a spoiler? i just jumped to the score and the last line of the review. Its enough for me to know i need to play it. Have they given a timeline for the entire series? Hoping its not too long. The wolf amongst us has been pretty poor so far. Just me who is disappointed to play as Clementine? ... wish it was an all-new story to be honest, but I shall give it a go! Just you I imagine. Clem was fantastic in the first season. Anyone know if there's any stuff that carries over from season one? I played that one on PS3, but would rather pick this up on Steam. We'll see. It could lead to interesting ideas. In season 1, we guided Lee as her parent figure. Now, we're the ones directly involved for her well being. My worry is that after the first season, which was indeed fantastic, the story between Lee and Clementine may well be slightly tarnished if the story doesn't carry over very well. ... she is more grown-up, but a kid doesn't play or react like an adult does and I fear this may well be the direction the game will go in; a kid playing like an adult, if this makes sense? There's stuff that carries over saves for sure, but I'm not exactly sure how significant it'll be. It might just mean a couple of scenes are altered because of who you let die in season one etc. Agreed that it's a weird one, given you play as a kid in an intensely macabre and violent world. On the other hand it makes me even more intrigued. Well, that was absolutely brilliant. Dark and depressing, but outstanding. Wishing away the days until episode 2. Welcome back Walking Dead, you have been missed. Resisting the urge to buy it. The wait between episodes isn't nice, as I just want to play the lot. Played the demo though. That snippet alone had me hooked. However, if it ends up being an episode a month between The wolf amongst us and Walking dead, that might get me. Can't help but think that's the real reason for the delay in episode 2 of TWAU.